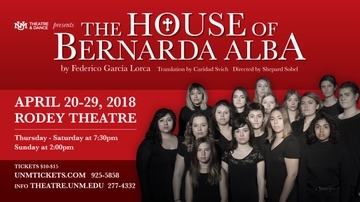 Lyrical, earthy and powerful, “The House of Bernarda Alba” is a masterpiece by one of the world’s most influential playwrights, Federico García Lorca, directed by Shepard Sobel in a new translation by Caridad Svich. Presented by The University of New Mexico’s Department of Theatre and Dance for seven performances only, this lyrical, earthy play with a cast of 16 young women, invites – requires – urgent exploration and promises a revelatory experience for both actors and audience. In a hostile time and place, five sisters struggle to satisfy their hopes and desires. A stifling and perverse moral code tightens its grip on the oppressed. Lorca sets his often funny, often searing, always humane cri de coeur in rural Spain on the eve of its Civil War – indeed, in the time of his writing, and a few months before Francisco Franco’s forces murdered the poet and playwright in 1936. But Lorca writes for our age and all ages, challenging us to defy Bernarda’s closing, insistent, truth-defying command to be blind and to be silent. A free staged reading of Migdalia Cruz’s play “Another Part of the House” will be held at 2:00 p.m. in Rodey Theatre. The reading of this adaptation/response to Lorca’s “The House of Bernarda Alba” will be followed by a discussion with the author. 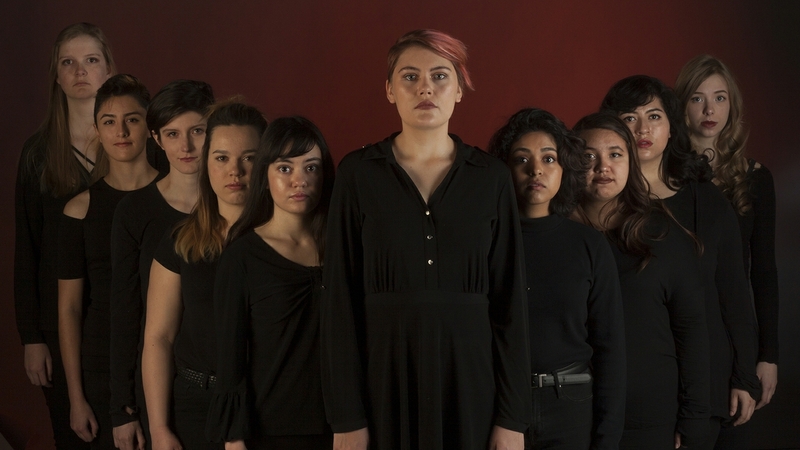 “The House of Bernarda Alba” runs April 20 through 29 in Rodey Theatre, located in the Center for the Arts on UNM’s main campus. 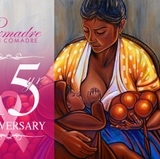 Thursday, Friday and Saturday performances are at 7:30 p.m., Sundays at 2:00 p.m.
Tickets are available at the UNM Ticket Offices located at the UNM Bookstore (Central and Cornell), or The Arena/aka The Pit (University and Avenida Caesar Chavez), or by calling 505-925-5858. 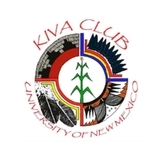 Tickets may also be purchased online at www.unmtickets.com. More information is available at theatre.unm.edu or by calling 505-277-4332.